Inferior axis in the frontal plane. Left bundle branch block morphology with the precordial R/S transition region at or after lead V3. right ventricular outflow tract (RVOT). ECG 1. 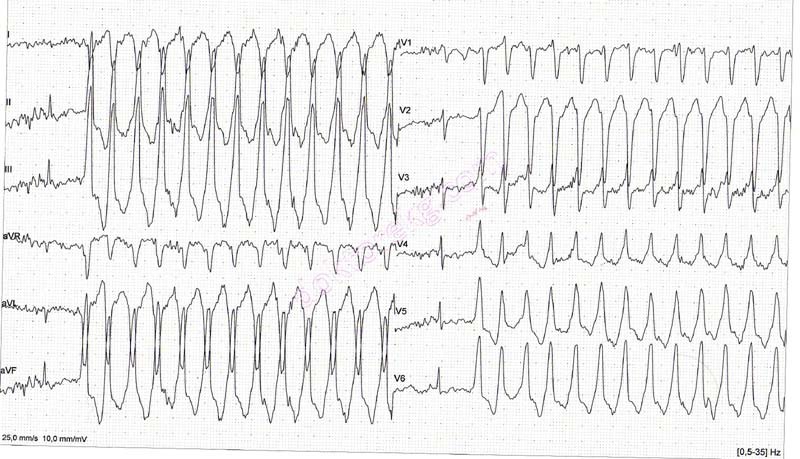 Non-sustained VT attacks in a patient with RVOT VT. The above ECG has been donated by Dr. Peter Kukla. ECG 2. RVOT VT developed during exerxise. ECG 3. 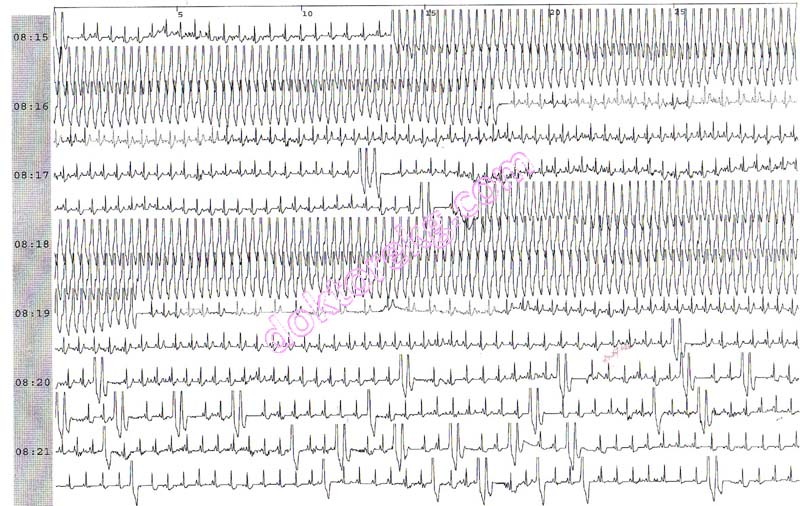 Non-sustained VT attacks in a patient with RVOT VT. Figure 1. 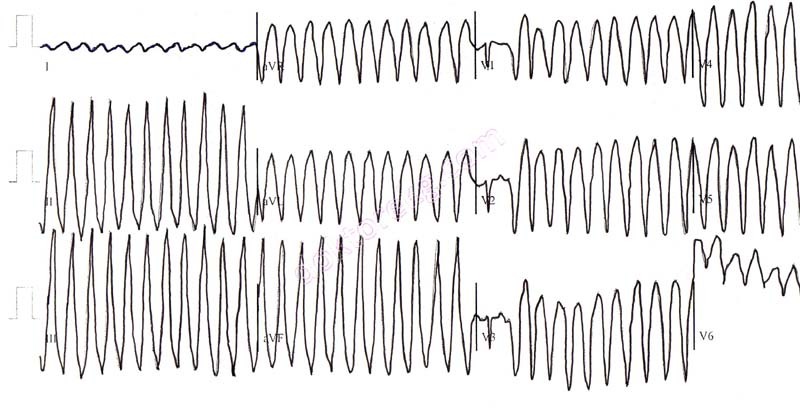 Above is the Holter recording of a patient with RVOT VT.
VT attacks, frequent VPCs, ventricular couplet and triplets are seen. The above Holter recording has been donated by Dr. Peter Kukla. 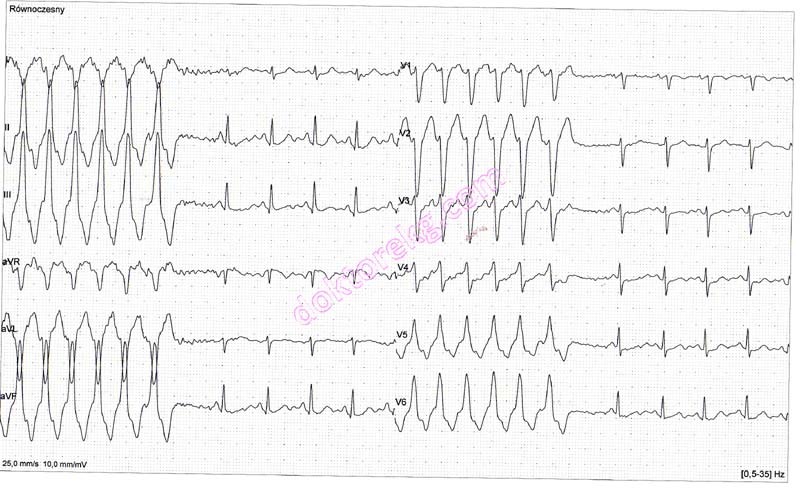 ECG 4. 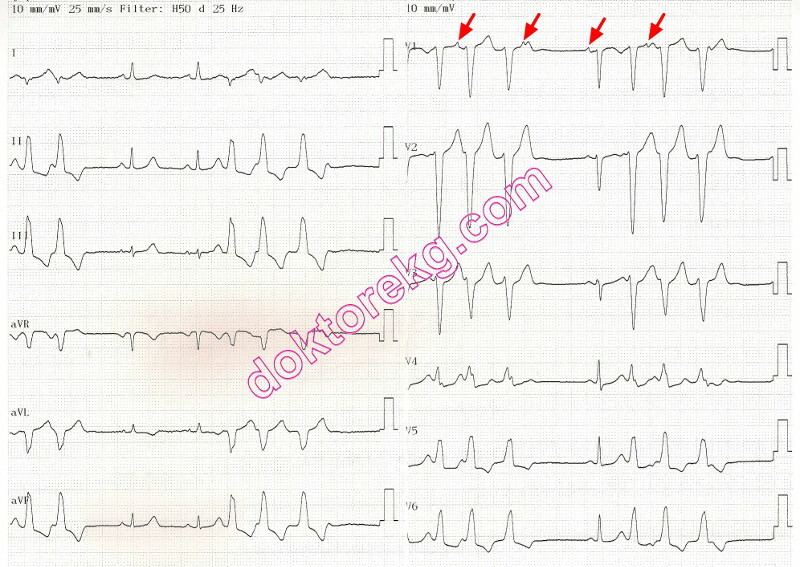 The ECG above belongs to a 45 years-old woman with a normal ECHOcardiogram. Nonsustained VT attacks are seen. The PVCs come from the RVOT. Beautiful example of AV dissociation.